I think this stuff is fantastic. 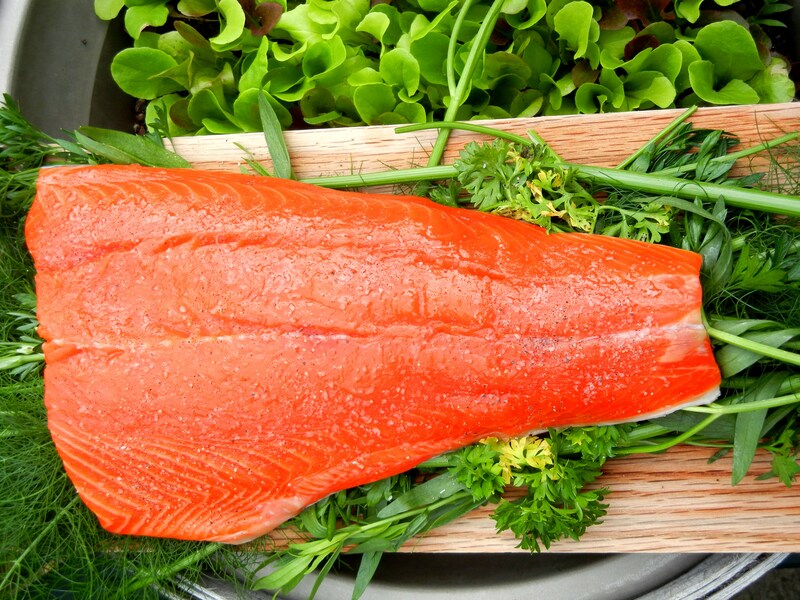 Only available from mid-May to mid-June, this fish tastes nothing like a farm-raised salmon. This is a fish that’s done some work swimming. 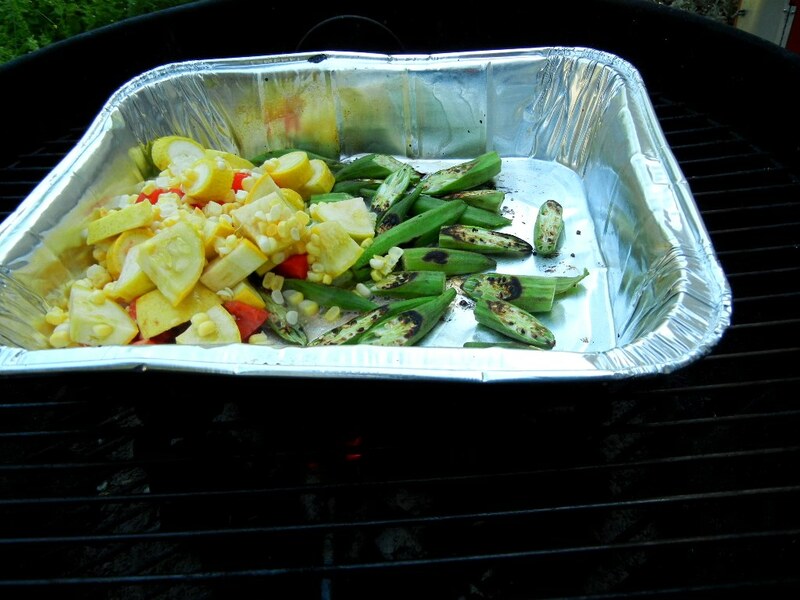 Tonight, Hades seasoned it with salt and pepper and a few drops of olive oil. He grilled it outside on an oak plank covered with fennel fronds, parsley and tarragon. A drizzle of tahini dressing (2 T tahini, 2 T olive oil, 1 T balsalmic, 1 T crème fraîche, 1 t lemon juice, pinch of brown sugar and S&P) finished off the fish before serving. I added a cous cous with orange water, cumin, tomatoes and backyard mint as the side. We didn’t even break a sweat. Playlist included Many of Horror, by Biffy Clyro.